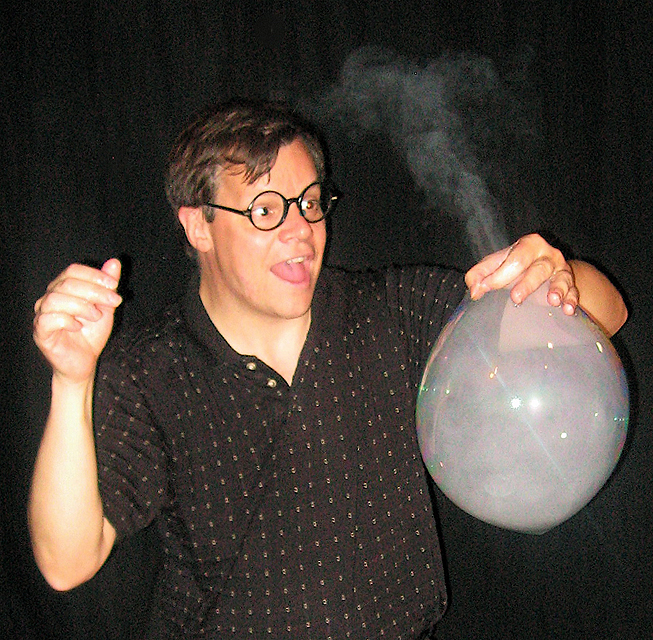 Doug Rougeux is a full time professional entertainer who has been performing my BubbleMania! show to rave reviews since the early 90s (when I relocated to Connecticut from upstate New York). Doug likes to say "Bubbles made fresh since 1991!". He also coined the phrase: "Soap bubbles bigger than your head" and many other clever one-liners that I have since stolen, I mean, "borrowed" for my own show. 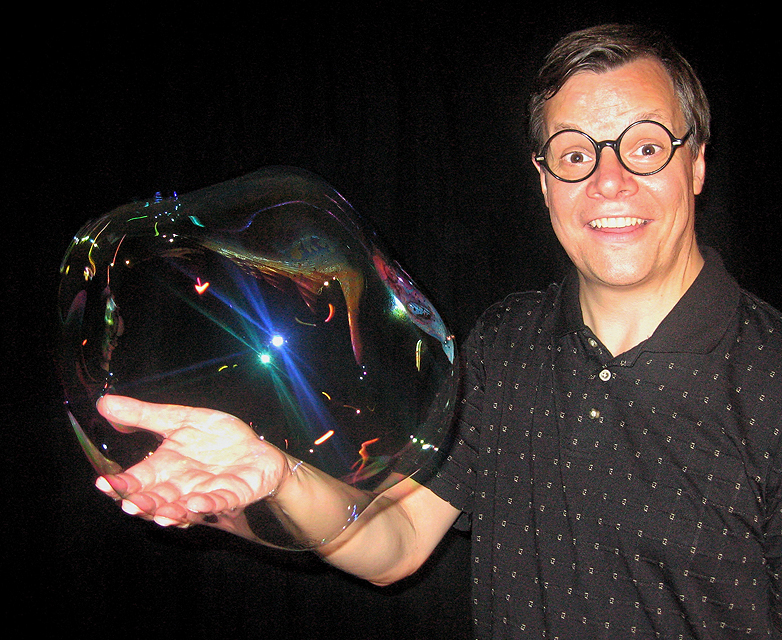 "All Doug Rougeux needs to amuse a crowd of kids is some bubble soap and a wand" - Syracuse Post-Standard CLICK TO READ THE ENTIRE ARTICLE! "Children and adults alike were thoroughly enjoying all your different talents from bubbling, juggling, joking around and just plain fun." "Great balance of entertainment and education. held interest well. He was Great!" Casey Carle and Doug Rougeux "Nearly 3,000 people had a wonderful and meaningful experience... there was deep appreciation for your performance." "That was the best bubble show I have ever seen in my life!" 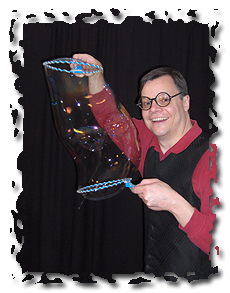 Presenting the same show outline, swing music and bubble manipulations of my original act, Doug has made the show his own with a fantastic wit and a gentle/goofy way with kids of all ages. 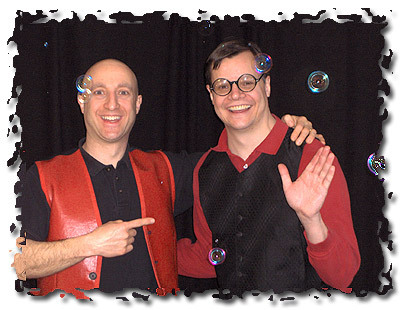 His professionalism on and off stage has kept BubbleMania! in high demand year after year with repeat performances at tons of venues. Doug's a graduate of The University of Buffalo and The Ringling's Bros. Clown College, garnering him 2 years of clowning with The Greatest Show On Earth. His other stage skills include juggling, mime and lots of "real theatre" gigs as actor and director. His talents have taken him to Singapore, Indonesia, Malaysia, Canada, and 41 of the 50 States. He as performed with touring theatres, circuses, symphony orchestras, an opera company and has made bubbles with me on the roof of the Arc D'Triumph in Paris. Yes, his last name is French and when asked how to pronounce it he almost always says "it rhymes with 'duh': roo- juh" Most people just call him Doug. I'm lucky to count Doug as one of my close friends. 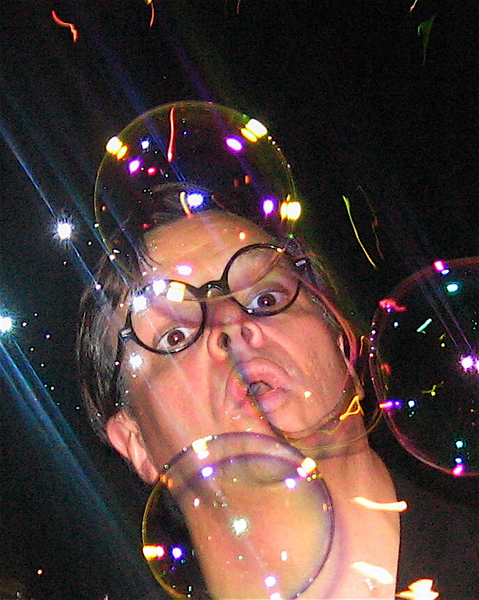 The tens of thousands that have seen him perform are lucky to know Doug as their BubbleMan! 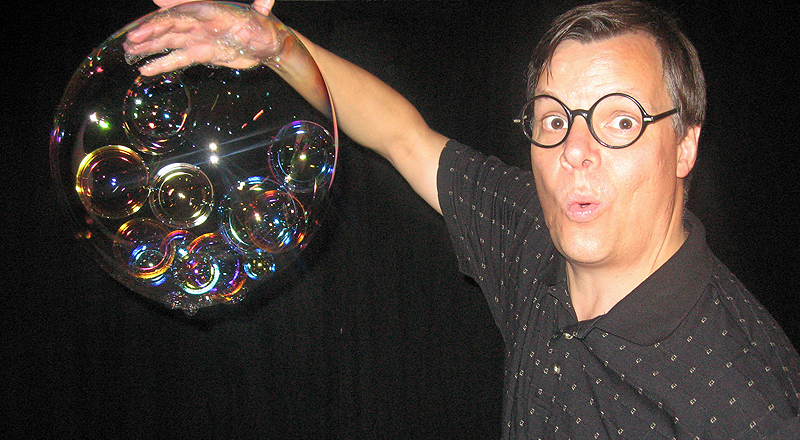 Doug Rougeux presents Casey Carle's Bubblemania! in central and upstate New York & northern Pennysylvania. "Excellent humor, kept children focused. We hope to schedule him again in the future." Doug Rougeux may be contacted directly by telephone at 315-391-6744, or email him HERE to discuss and book your event. Currently, Doug Rougeux! is available in central and upstate New York (Buffalo to Utica, Binghamton to Watertown), & northern Pennysylvania. For larger stage productions of Casey Carle's Bubblemania! featuring Casey Carle himself, please look here to review Casey's travel radius and booking information. Need more info? 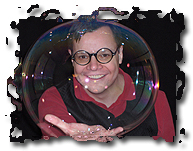 Read the Syracuse Post-Standard article: "All Doug Rougeux needs to amuse a crowd of kids is some bubble soap and a wand"